Internet giant Google can be a large source of traffic on your blog/site if you optimise your site well and you have a valuable content which Google will serve to users when users search something related which you served on your blog. SEO Ranking factors are very much important for your blog. Page rank is considered a key factor of Google’s search algorithm but to get better page rank, you need to gain blog’s reputation on Google by following these factors. Daily many changes made to Google algorithm as they want to serve the best blogs/sites to its users. However, these factors will be important in this year too. Content is still king and will remain king forever as its the primary factor to rank sites. The sites which are filled up with copied or spammy contents are considered as spammy sites, and Google doesn’t even rank those sites. So serve the best content you can because if your content isn’t unique and new, your blog/site won’t be ranked. It doesn’t matter how much you optimise your website. Also, new contents are more chances to get ranked than old contents by Google, and they simply rank up the new contents than old. 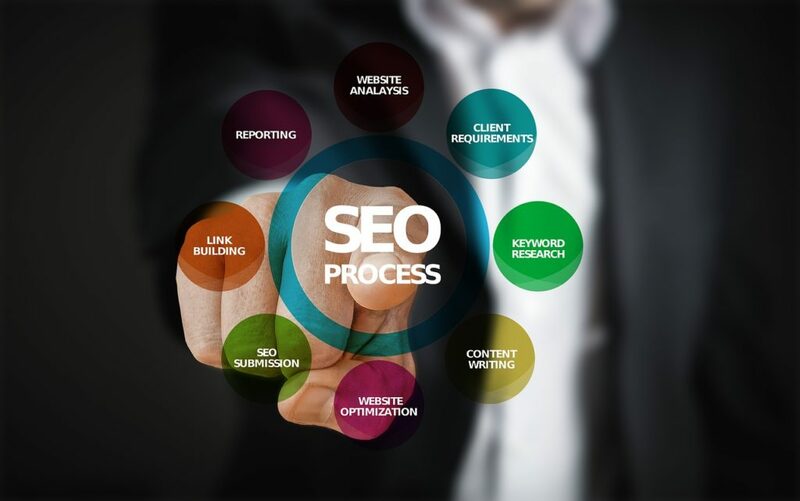 It is one of the most important SEO Ranking factors. Note that if the user came from search engines didn’t like your content and pressed ‘back’ too soon, your rankings will fall. Internal Backlinks: internally connected wired backlinks. For example, you’re writing about India, and you’ve already written an article for Delhi then you can link that Delhi article’s in the India article. Also, backlinking internally can make your visitors’ experience better. External Backlinks: as this is the key factor, you must make backlinks from sites which are relevant to your site. There are various methods to make backlinks but note that it can ruin your site’s reputation on Google if you have spammy backlinks. So be careful about this. It wasn‘t a major factor earlier, but in last few years, it became major factor it has significant influence in the rankings. You can have two types of design versions on your site. Default design for Laptop/PC: The traditional designs and layouts comes in this. While choosing or making a design, make sure that the design must not irritate the users. Mobile Friendly Design: A special mobile design version of your design l need for this, either you can customise your default design of you can choose a design which is available in both the version. As it has a big influence in ranking for mobile smartphones, this is a must do the task for SEO optimization. The most basic and most important thing of SEO optimization. The keywords can have key influence in Google search rankings. We recommend using page-level related keywords. Also, dropping the targeted keywords in h1,h2, and h3 tags might be better for rankings. As this factor listed in key factor, this will remain most important for forever. A domain of your site can be the key factor if your domain has your targeted keywords in the domain. There are few things matters which I listed below. Domain Age: domain age means from how much time the domain is existing with contents. The older your domain is, the more it gains reputation from Google. However, it influences rankings, but the influence isn’t significant. Domain extension: there are myths thrown by blogs that Google don’t rank blogs/sites which don’t have a top-level domain which is not true. Yes, Google likes top-level domains it influences ranking, but the influence is not significant. So don’t think that you must need a top level domain to rank, you can rank your blog/site which .in or .xyz domains too. Here I need to tell that buying a domain is recommended but using a free domain is not recommended by us as free domains widely used for spams and Google don’t rank sites with free domains easily. Domain Length: you can have a domain with a maximum length of 30 chars. But it is recommended buying domains with the length of 6-14 chars as it will be easy to remember. As Google is keeping in the center the reference UI(user interference) and UE(user experience) while ranking. Social media signals mean the links shared on social media sites link Facebook, Twitter, Google+ and Pinterest. Either your website might be shared by default from users (if you have better content and worth sharing) or you can make social media pages where you can post links of your blogs and sites, and it could become a major source of traffic too. Here’s a notable point that social signals from Google+ have more influence in ranking than other social networks. Don’t be a spammer while sharing links or it might have upside down effect on your rankings. There few more factors but we aren’t sure that it will remain this year or not or it has significant influence or not. We recommend following these factors to optimise your blog/site. If you’re having any questions related to this post, Please ask in comment box.